Thrombectomy devices are used in surgeries to remove blood clots formed in situ within blood vessels. These devices are available in various types, including mechanical devices, basket/brush retrievers, stent retrievers, aspiration devices, ultrasonic devices, coil retrievers, and hydrodynamic devices. They are used to remove thrombus, which can happen anywhere within the vascular system of a human body and therefore, find their application in the cardiovascular system, peripheral vascular system, and neurovascular system. The end users of these devices, include ambulatory surgical centers, hospitals and surgical centers, academic institutes, and research laboratories. The rapidly growing geriatric population is fuelling the global demand for thrombectomy devices since aged people are highly susceptible to venous thromboembolism (VTE). Moreover, the rising occurrence of peripheral artery disease, acute myocardial infarction, and deep vein thrombosis, owing to the unhealthy and sedentary lifestyles is escalating the development of the global market for thrombectomy devices. The increasing government and consumer expenditure on the healthcare sector coupled with the presence of favorable medical reimbursement scenario is also stoking the growth of the market. Besides this, the spiraling demand for minimally invasive thrombectomy procedures is augmenting the market. 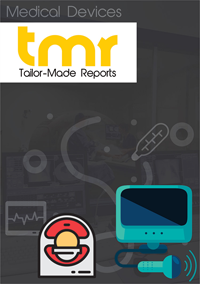 On the flip side, stringent regulations pertaining to the approval and manufacturing of thrombectomy devices is hampering the growth of the global market. Moreover, patients, particularly in developing and less developed nations, are less aware about thrombectomy, which in turn negatively impacts the growth of the market. The lack of skilled and well-trained surgeons is also inhibiting the growth of the global thrombectomy devices market. The global medical devices industry and its affiliated markets are largely influenced by government actions. Thus, favorable government policies are playing an instrumental role in the development of the global thrombectomy devices market. To put this in perspective, the U.K. National Health Service (NHS) is taking efforts to make mechanical thrombectomy more widely available to patients. In April 2017, the NHS decided to invest hefty sums in the development of an advanced treatment for strokes. With this intervention, nearly 8,000 people per year are expected to benefit from this treatment. The development of such treatments is likely to translate into the greater uptake of thrombectomy devices. The key regions analyzed in the report are Asia Pacific, North America, Latin America, Europe, and the Middle East and Africa. North America will command a substantial share in the global market throughout the forecast period. The growing popularity of technologically advanced thrombectomy products among surgeons and the availability of favorable reimbursement policies, especially in the U.S. are contributing to the growth of the region. Besides this, the presence of advanced healthcare infrastructure and the rising number of clinical trials are supplementing the market in North America. Asia Pacific will be an emerging market for thrombectomy devices. The widening base of target patient population, growing healthcare expenditure, and increasing awareness regarding novel devices among surgeons are stoking the growth of the region. In addition, the growth of the region can be attributed to the rising localized manufacturing and strengthening of distribution channels. The majority of key players in the global thrombectomy devices market are looking upon mergers and acquisitions as viable strategies to expand their product portfolio. They are paying high attention to technological advancements and product upgradation to stay relevant in this highly competitive arena. Some of the key global participants in the global market are Stryker Corporation, Medtronic Plc, Boston Scientific Corporation, Penumbra Inc., Teleflex Incorporated, AngioDynamics Inc., The Spectranetics Corporation, Johnson and Johnson Inc., Terumo Corporation, and Vascular Solutions Inc.